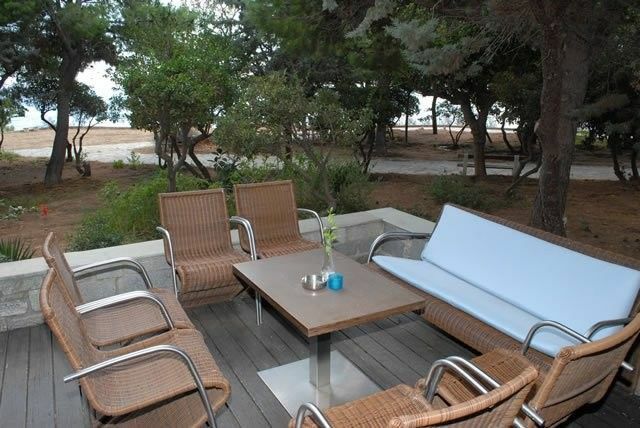 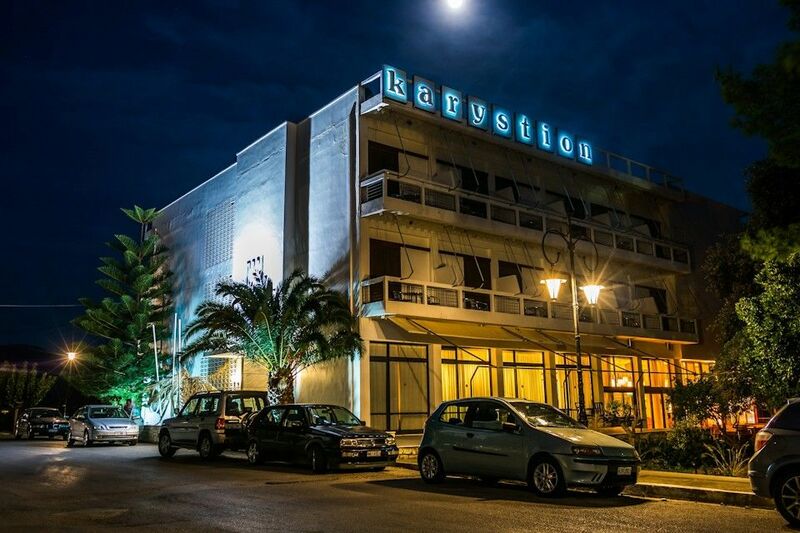 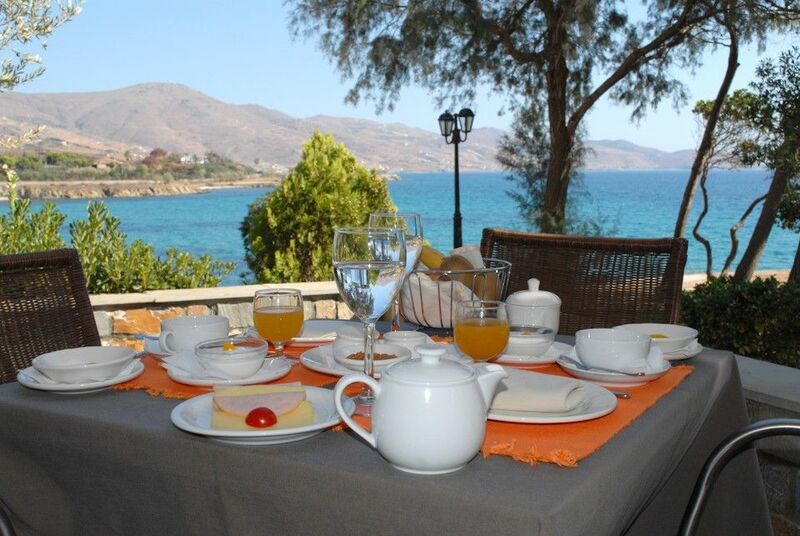 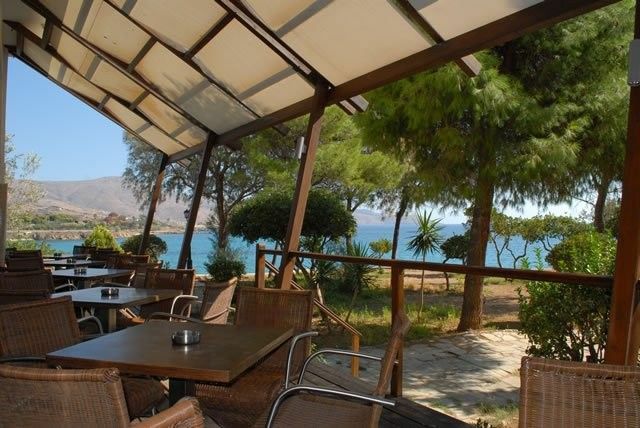 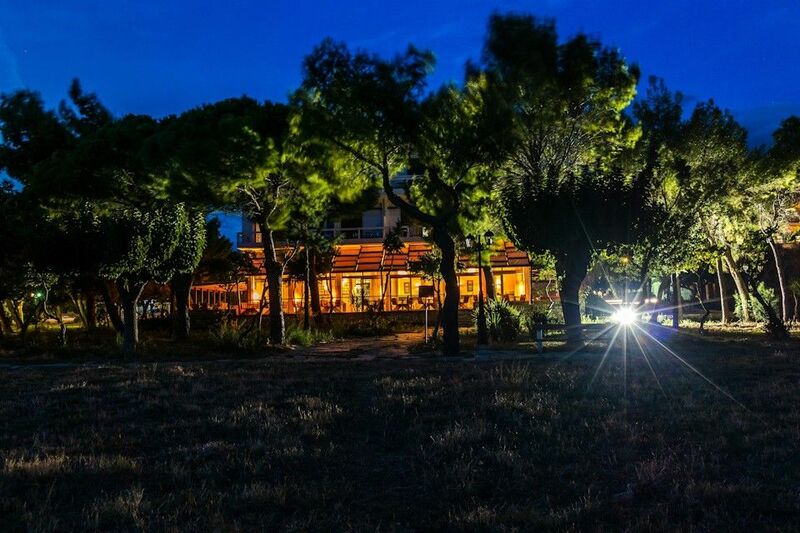 The Karystion Hotel stands in a advantageous position, overlooking the sea, hidden in the tranquility of a lush garden. 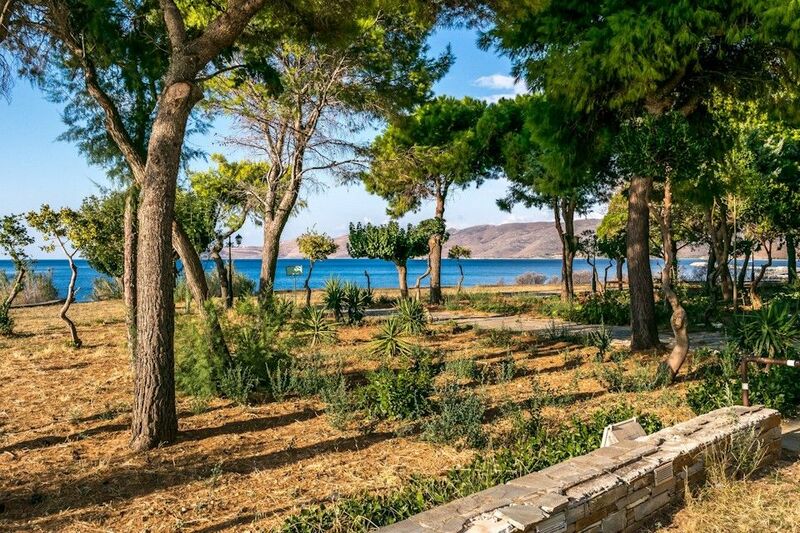 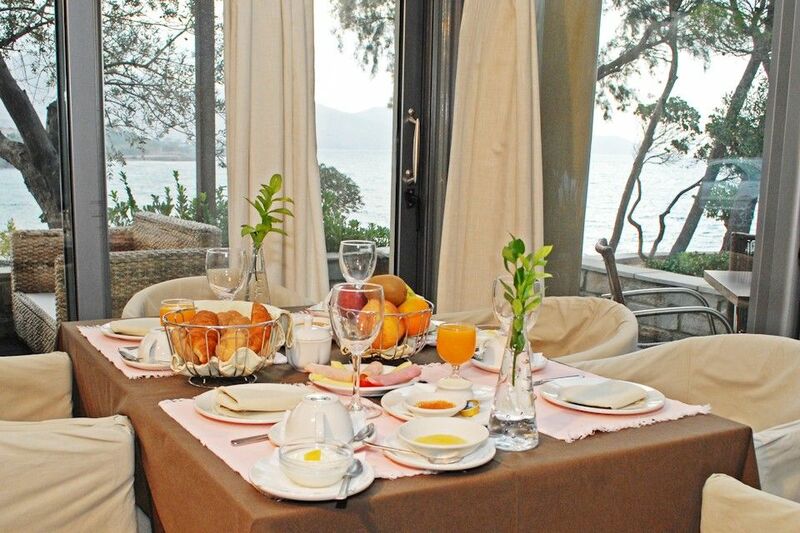 From a private balcony guests enjoy the views of the bay of Karystos or the park. 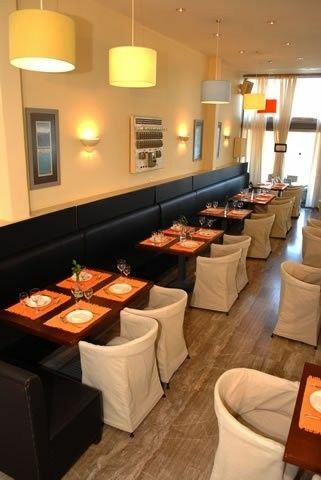 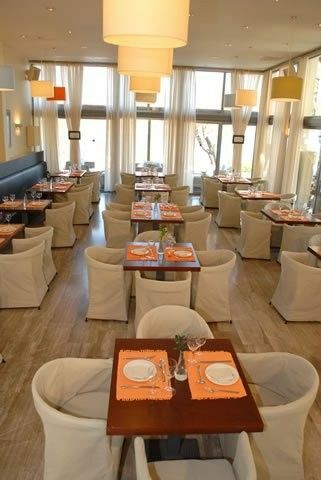 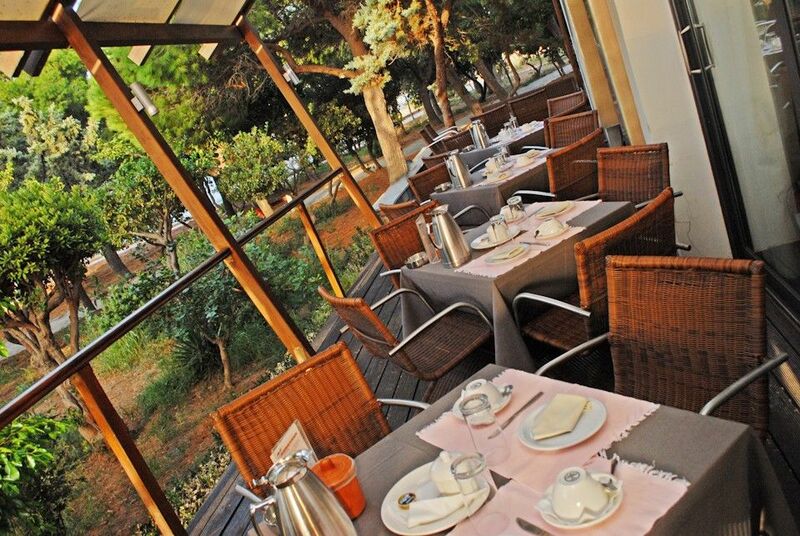 Guests will enjoy a well-prepared breakfast made with local fresh produce, dishes of Mediterranea cusine and our home made pudding. 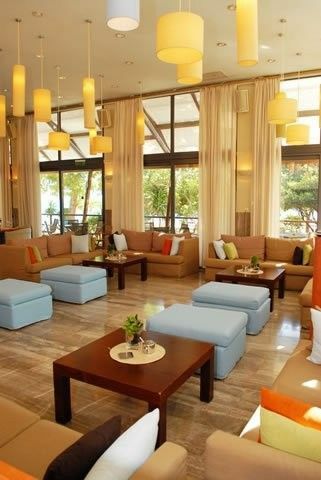 Karystion guests enjoy immediate access to the nearby beach (33 ft away) and the center of Karystos (1300 ft). 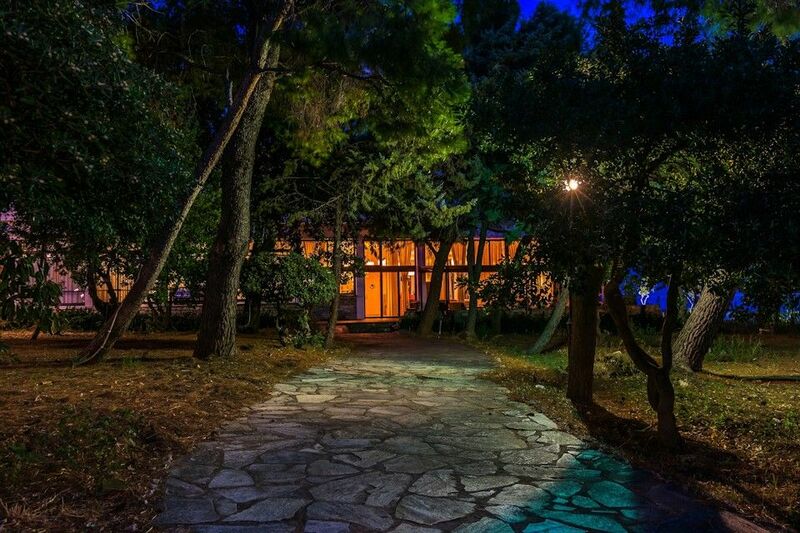 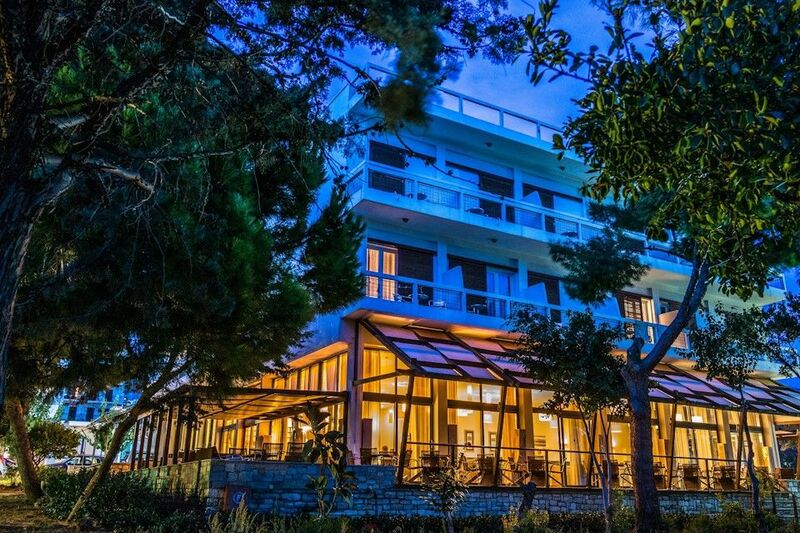 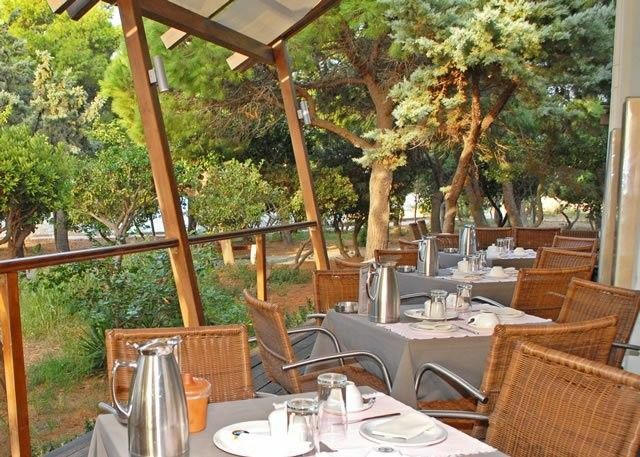 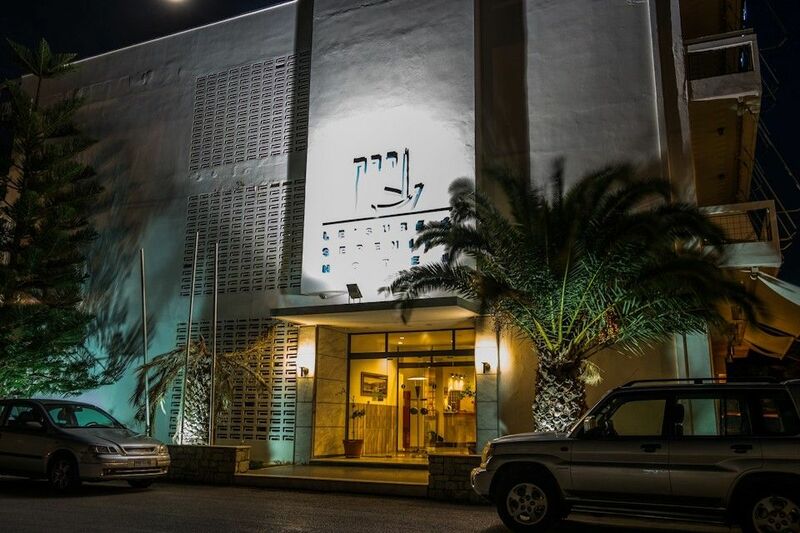 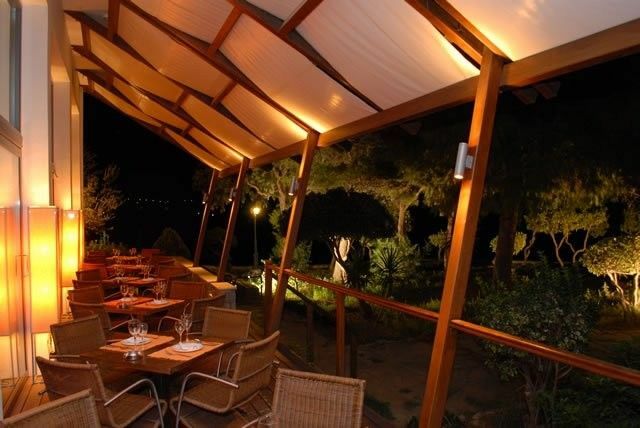 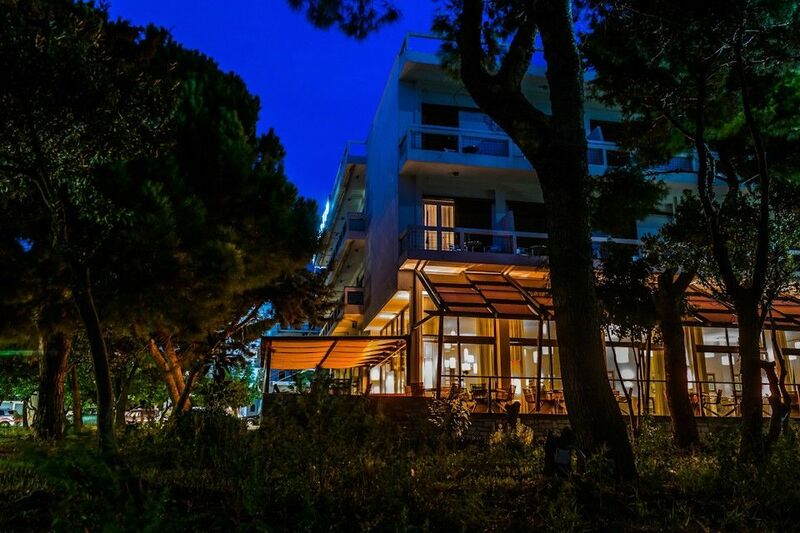 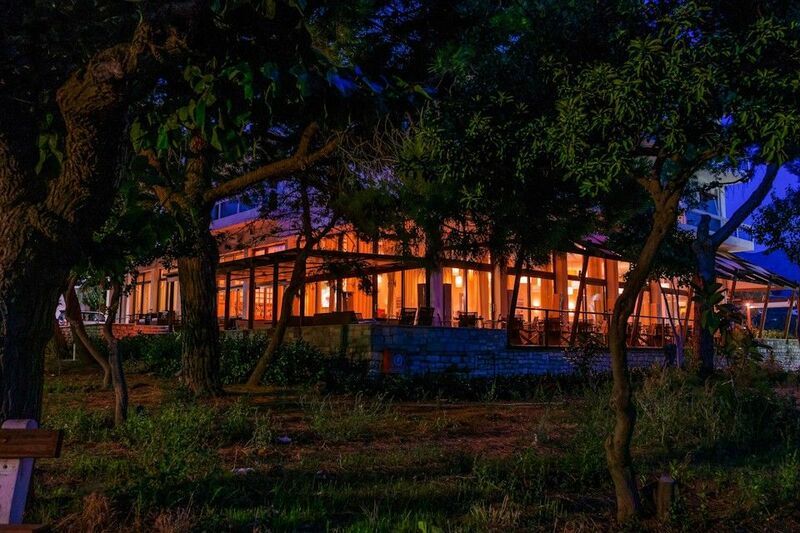 The Karystion Hotel is along a tree-lined park promontory overlooking the sea. 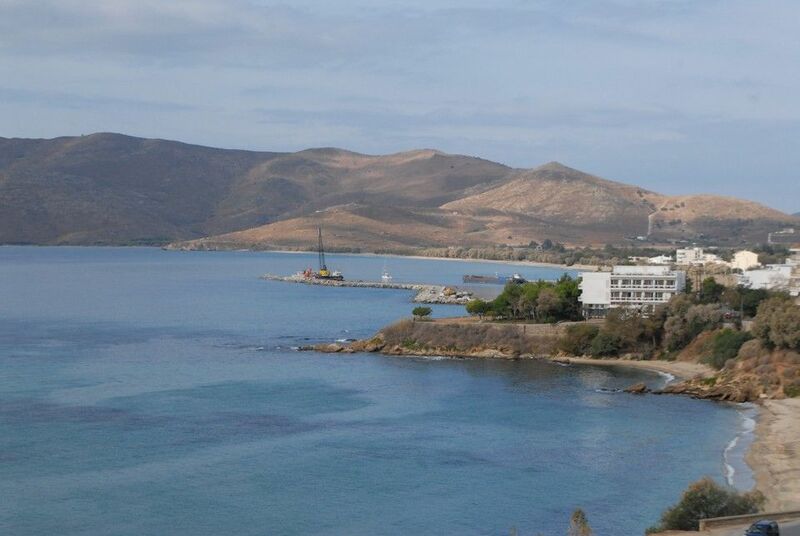 At the park's westernmost boundary, a Venetian tower stands at the edge of Karystos. 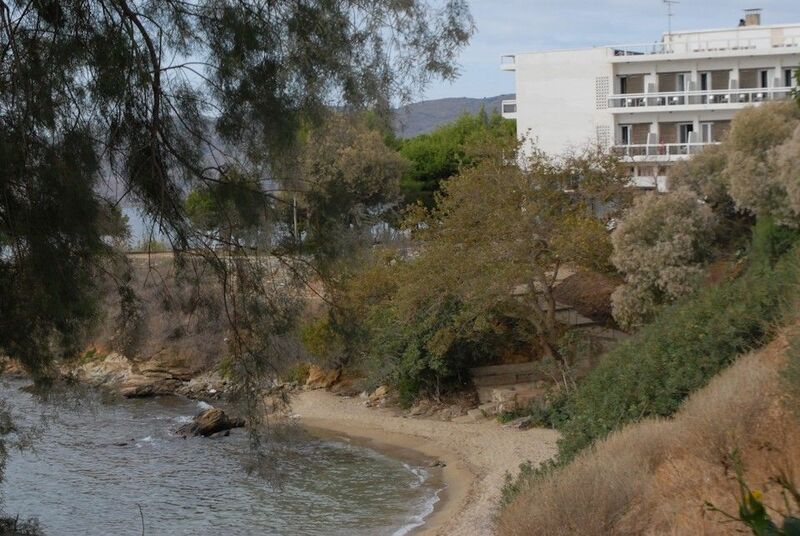 The town is 1300 ft from the hotel, which sits halfway on a horseshoe-shaped bay whose pristine, undeveloped beaches streches some 12 miles to the east and west. 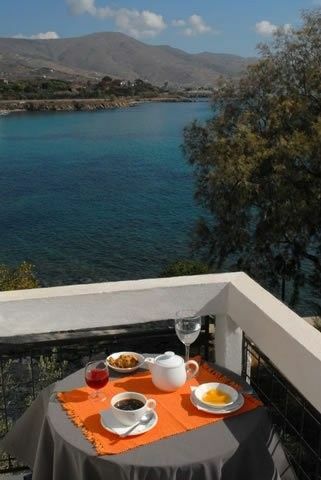 Hotel rooms, 39. 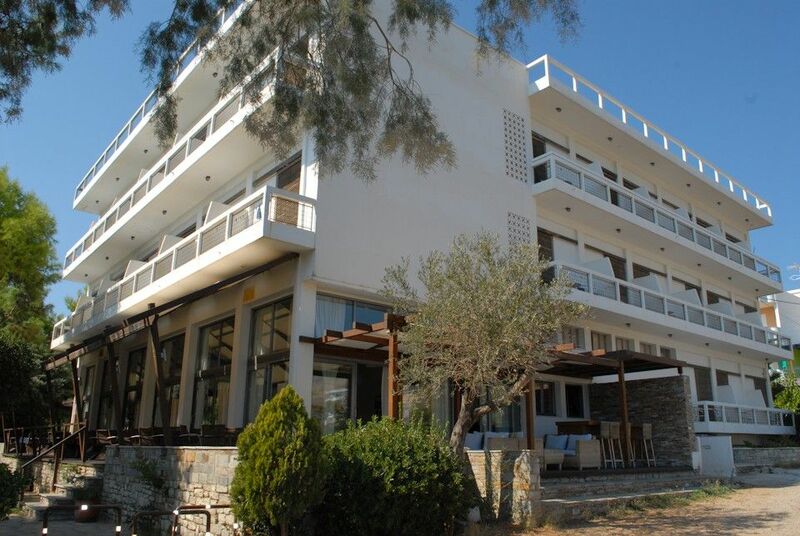 Our property operates from 5 Apr to 28 Oct.